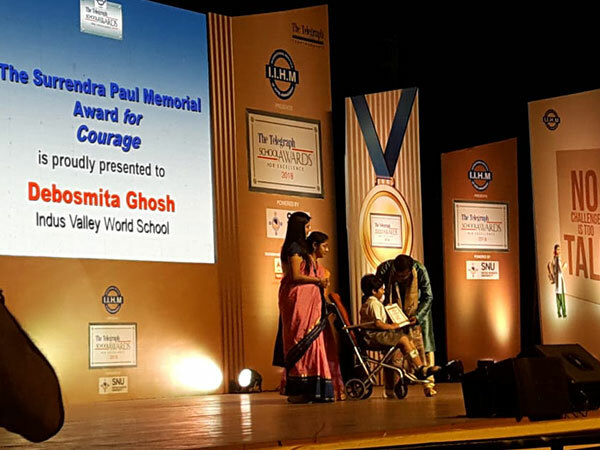 DEBOSMITA GHOSH A STUDENT OF GRADE III AT OUR SCHOOT HAS SPINAL MUSCULAR ATROPHY. 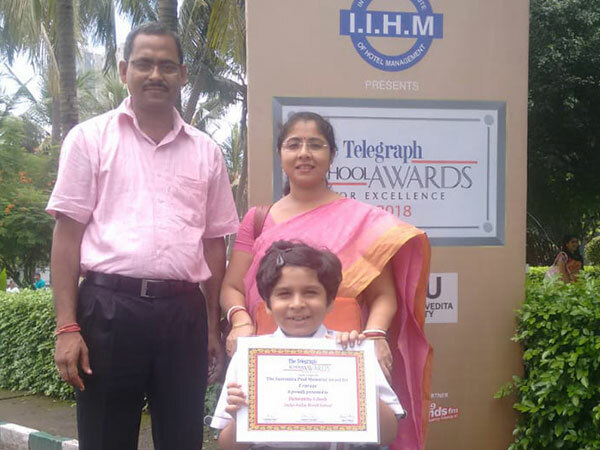 HOWEVER, HER UNFORTUNATE DISABITITY DID NOT HOLD HER BACK IN ANY WAY AS SHE IS A RANK HOLDER IN THE NATIONAL OLYMPIAD AND ALS0 A STATE FINALIST IN THE SIP ABACUS, ARTIHMETIC GENIUS CONTEST. SHE BELIEVES IN HERSELF AND SETS A PERFECT EXAMPLE OF SOMEONE WHO HAS CONVERTED DISABILITY INTO OPPORTUNITY. WE ARE PROUD OF HER. 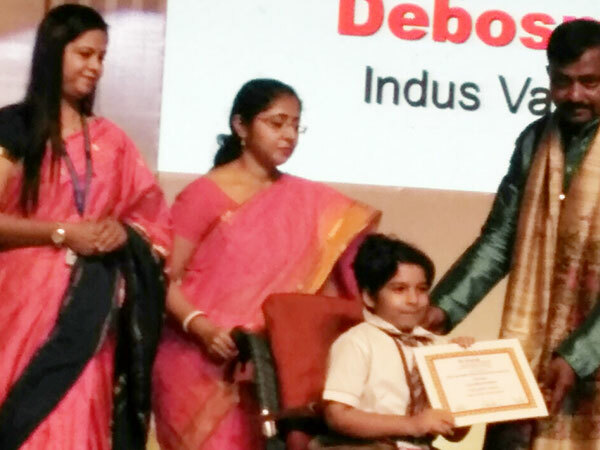 ON 25TH OF AUGUST 2018 DEBOSMITA WAS AWARDED AT THE SCIENCE CITY AUDITORIUM IN THE CATEGORTY ‘AWARD FOR COURAGE’ BY THE TELEGRAPH EDUCATIONAL FOUNDATION. IT WAS INDEED A PROUD MOMENT FOR ALL OF US.